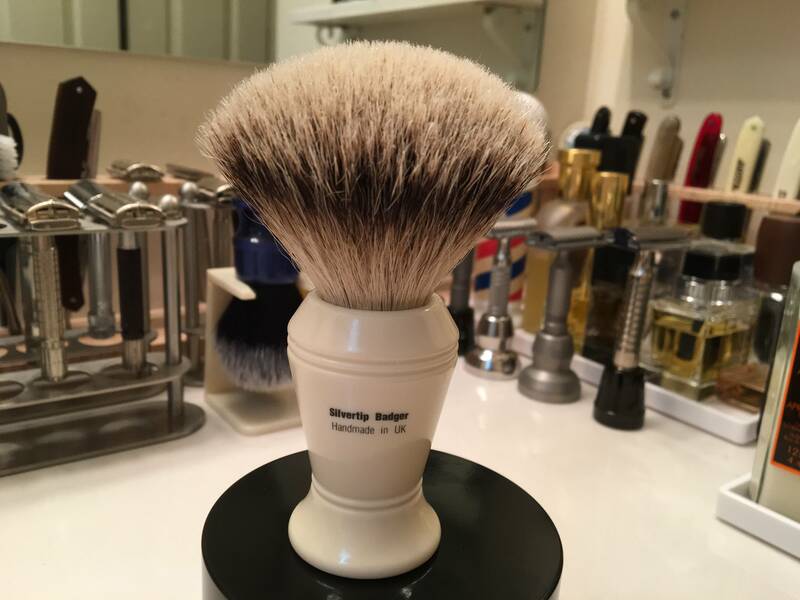 The Vulfix 377 silvertip is the perfect representation of a luxurious shave brush. With a 25mm silky silvertip knot set to about a 56mm loft, the brush is modestly dense with minimal backbone. That's what's so special about it: a brush that devours the face with luscious splay. This is a big brush and has a long handle. It's a wee bit too big for me, however. Also, these days I'm using mostly synthetic brushes. 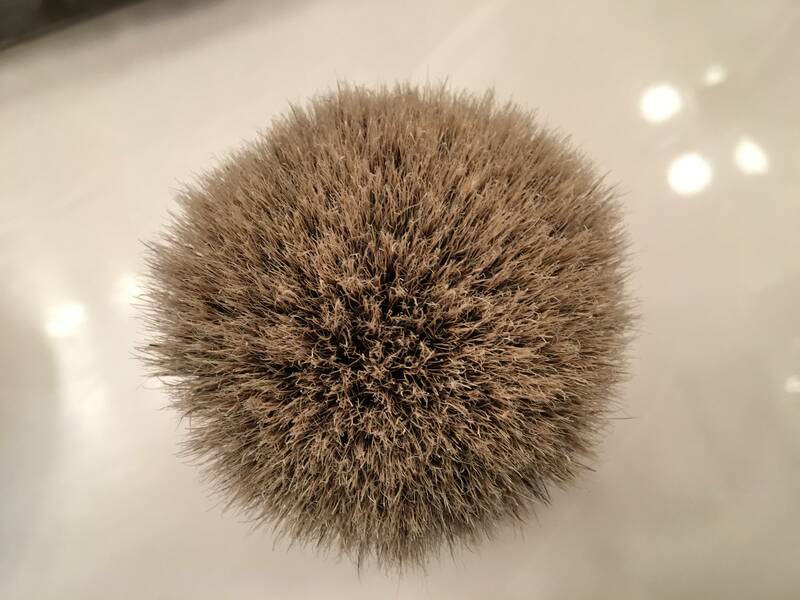 I've used the brush fewer than a dozen times. I paid $127 new for the brush; your price is $85 shipped U.S. Paypal is fine; no trades, please. Some of you might be wary to buy Vulfix if you've experienced their Super badger brushes as those are the only brushes I've found I would call floppy. I have this model, and it is a joy to use. The closest brushes I could think to compare them to is the Savile Row 3824 and the Kent BK/BLK8. It has more control and density than the Kent, more density than a long loft 3824, and just a bit behind the short loft 3824, but I credit the increased backbone of the short loft 3824 as the reason why. Similar softness to both of these brands. If you like luxuriously soft brushes that still maintain a decent amount of density, this would be a great one to pick up from a great seller! GLWTS! Right you are about the brush. Everything you say is spot on. 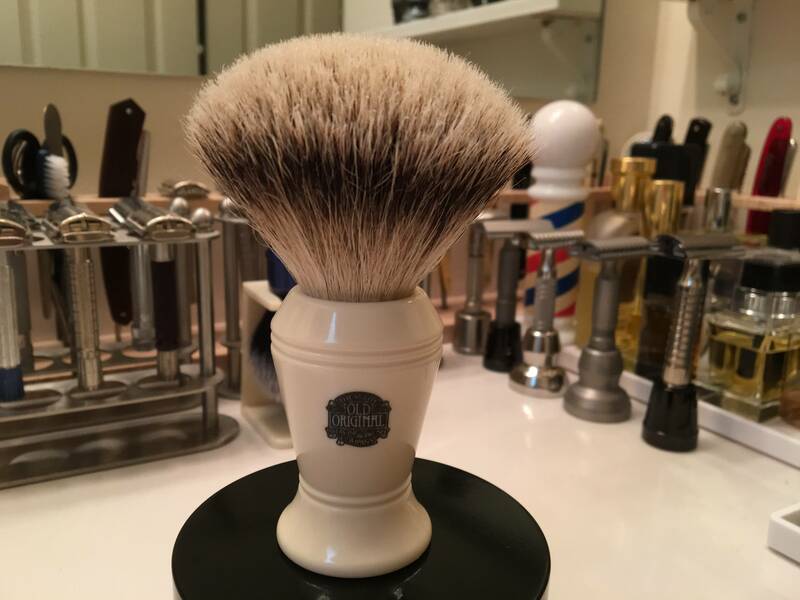 The brush is a joy to use for those who like a big brush with a silvertip knot that devours the face with luxurious lather. Also, it is for those with ultra-sensitive skin. Thanks for the kind words, my friend. No problem at all Obie. It's a fantastic brush. One which people might not be pulled too as it isn't 2-band, or of extreme density. There's so many excellent brushes that don't get the time of day because of that!